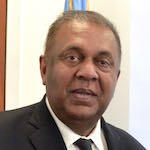 Observing that “it is the poor people who mostly pay taxes to the government by way of indirect taxes,” Minister of Finance and Mass Media Mangala Samaraweera said that he expected VAT to be reduced by 2.5% in the year 2020. Samaraweera, speaking at a ceremony to award letters of appointments to 68 newly recruited Assistant Superintendents of the Customs, also said that the Customs Ordinance is over 200 years old and that a new Customs Act would be brought to Parliament before the next budget. According to a media statement released by his Ministry, Samaraweera had also spoken at length on the nature of the national debt. “After Independence in 1948, the highest amount of debt servicing has to be paid in 2018. The total foreign debt to be paid this year is US$ 2,845 million and of which US$ 1,789 million has to be paid for government borrowings done before the year 2015. Only an installment of US$ 1,056 to be paid for the foreign loans borrowed after 2015. Accordingly, 63% debt installments to be paid this year are repayments of debts that had been borrowed during Mr. Rajapaksa’s tenure as finance minister. It was at the level of 75% in 2017. “This situation would further worsen next year. US$ 4,285 million have to be paid in 2019 and of which UD$3,315 or 77% of the repayment are for the debt obtained during the tenure of the Rajapaksa regime.